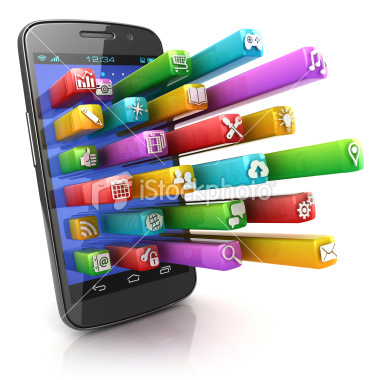 Everyone has seen the clever IPhone commercials, which promote its applications (“Apps”) and states the famous phrase “there’s an app for that!” Some sources even boast that as of the end of 2012, there were some 750,000 apps available on the Iphone App Store. From useful apps like ESPN, Shazam, and Urbanspoon, to useless apps like Have2P Restroom Locator, Can I Drive Yet, and How to Text A Girl, there truly might be an app for everyone. There are even Apps like Bargain Bin which locates apps that are on sale. Attempting to cash in, many people and businesses have attempted to create their own apps to eventually sell to Apple. While most just think about hitting it big, the state and local tax attorney in me wonders where the sale of an app is taking place and if this type of transaction is subject to sales tax. In a recent General Information Letter, a Taxpayer in Illinois was faced with this exact situation. Specifically in 12-0055-GIL, the Taxpayer developed various IPhone apps. The apps included a way in which to check the weather, find restaurants, track weight, and assist with health issues of the user. Under the arrangement the Taxpayer receives a percentage of Apple’s sales from the sale of the apps. The Taxpayer asked Illinois for guidance to determine if the app sales were subject to tax and if so whether the sales were 1) sales for resale or 2) sales of services. Like most states, Illinois’ sales tax regime imposes a sales tax on the sale of tangible personal property (“TPP”). In addition, like most states, Illinois’ sales tax law states that sale of “canned” software is taxable regardless of the form in which the software is transferred. Even though the software is not tangible property, the Illinois Legislature decided to include software in its sales tax definition, which is perfectly permissible. The GIL then goes on for about a page just listing and regurgitating any statute that it thought might apply to the situation. Of note, as many computer software creators are aware, changing “canned” software to tax-exempt custom software is very easy to do in most jurisdictions. Companies with huge software costs can get around this requirement by changing as little as one line of code in many cases. Although we cannot be certain with the information you have provided, it appears the applications you are selling to Apple may be canned computer software. It also appears that the sales to Apple are considered sales for resale. Thanks for being helpful Illinois. Basically, the letter ruling says the ruling doesn’t mean anything and the Taxpayer might be selling canned software. While this particular letter is not helpful, a few lessons can be learned. The first is if you or your client is in the business of creating apps, that many states are taking the position that the sale of an app is taxable. Another lesson to be learned is that if you or your client is facing a tax transaction that may or may not be taxable, it may be worthwhile to request the equivalent to a GIL in your state. Most states have a non-binding ruling request procedure that allows a taxpayer to anonymously ask for guidance regarding a transaction. If favorable, the taxpayer can go for a binding ruling from the state (which is the equivalent to the IRS PLR), and if successful will serve as an insurance policy for the taxpayer. If you have any questions about the taxability of Iphone Apps in your state or the letter ruling request process in general, then please do not hesitate to contact me at the email or phone number on this page. About the author: Mr. Donnini is a multi-state sales and use tax attorney and an associate in the law firm Moffa, Gainor, & Sutton, PA, based in Fort Lauderdale, Florida. Mr. Donnini’s primary practice is multi-state sales and use tax as well as state corporate income tax controversy. Mr. Donnini also practices in the areas of federal tax controversy, federal estate planning, Florida probate, and all other state taxes including communication service tax, cigarette & tobacco tax, motor fuel tax, and Native American taxation. Mr. Donnini is currently pursuing his LL.M. in Taxation at NYU. If you have any questions please do not hesitate to contact him via email JerryDonnini@Floridasalestax.com or phone at 954-642-9390. Please feel free to follow me on LinkedIn, Twitter, and Facebook.